Home / Blog / blog, promotion / 2018 / September / 10 Fun Facts about Gordon Bruce! 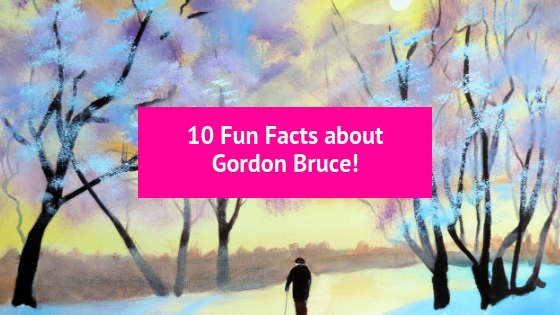 10 Fun Facts about Gordon Bruce! Gordon Bruce is one of our associated artist. His London painting scenes have delighted many who have booked on to one of our events. Bruce, likes to have a variety of subject matter and genres. He is known for painting landscapes and seascapes in oils, cows as portraits, folk art landscapes, as well as inspired paintings from fairytales and children stories. Like what you hear? Get to know Gordon Bruce! 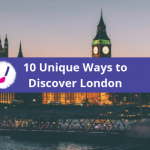 1 I was born in Aberdeen, Scotland where I still live. I studied art at University in Aberdeen. 2 I have lived in various places; Australia as a child, America, and Spain. I studied Spanish in Barcelona. One of my favourite places I have visited is Paris, I liked it so much that I have been inspired to paint it many times. 3 I gave up my regular job as a postman due to health problems. I liked it but it was something I didn’t want to do permanently. Now I have been painting full time for 13 years. 4 I have always been interested in art from an early age. I studied painting at Robert Gordon’s University in Aberdeen. 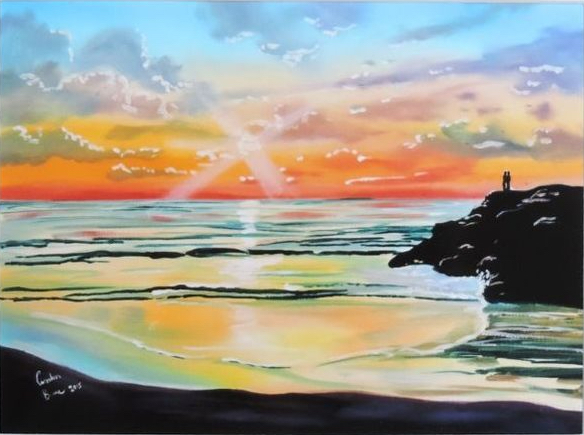 I have been painting for over 20 years. 5 The artist that have influenced me the most have been L.S. Lowry and Louise Rayner but the most influential was the art in Disney movies. 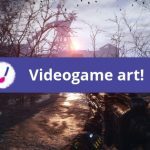 I was interested in animation and wanted to become an animator but decided to go into painting at University. 6 I was influenced in Lowry in his depiction of busy streets and everyday life, but I like to use many different bright colours in paintings. I like to paint happy scenes. 7 When I started painting in 2003, I painted traditional landscapes in watercolour. I did that for a few years until I moved on to oil painting. I painted abstract paintings for a while and then went back to painting more traditional Scottish landscapes and animals. I live close to the countryside so I like to paint cows and sheep and often include them in my landscapes. Lately I have been painting scenes from famous stories such as Peter Pan, a Christmas Carol and the Little Prince. 8 Over the years I have had many return buyers who have become friends. Many are bought as presents especially at Christmas. 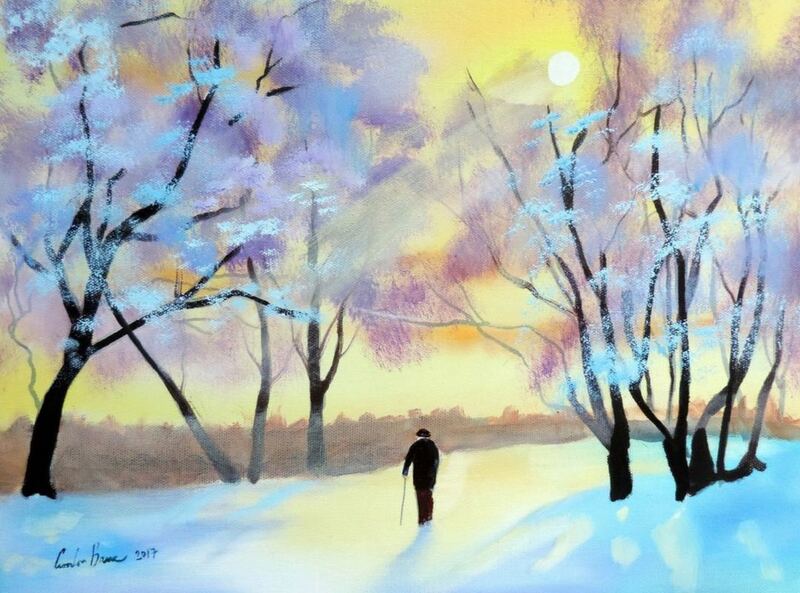 9 My favourite season for painting is winter. I like to paint happy winter scenes because I like Christmas very much. I also like to paint Autumn as well. 10 I wanted to paint something a bit different so I painted some famous landmarks such as the Eiffel Tower, the Colosseum and the statue of Liberty and incorporated my animals in them. Have you felt inspired By Gordon’s paintings. 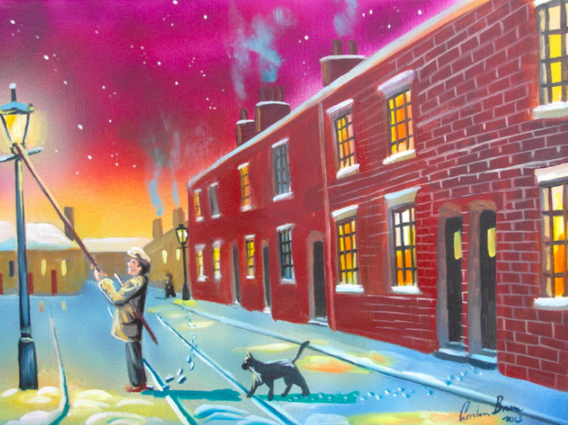 Head over to his website HERE to discover even more delights on canvas!